We talk a lot these days about the fabulous improvements that are now possible in how we live and work based on the ‘Internet of Things’ with low cost intelligent devices connected by the internet. However, like most human advancements, there is good news and there is bad news. KrebsOnSecurity explains that a malicious botnet can scan the internet for IoT systems protected by weak security factory default or hard-coded usernames and passwords. These systems are relatively easy to break and infect with malware. The Oct 21 attack for example, used IoT devices like digital video recorders (DVR’s). Now I have to think twice about owning an intelligent refrigerator or a thermostat that uses IoT that I can control from a wifi connection to my cell phone. There is no doubt that cyber security is one of the major challenges when talking about using IoT in the home and perhaps even more so in manufacturing facilities. However – here is a good news story about using IoT to prevent fraud – in this case one tied to growing marijuana! In my home province of British Columbia Canada, the utility company is BC Hydro, a crown corporation responsible for supply and distribution of electricity within the province. 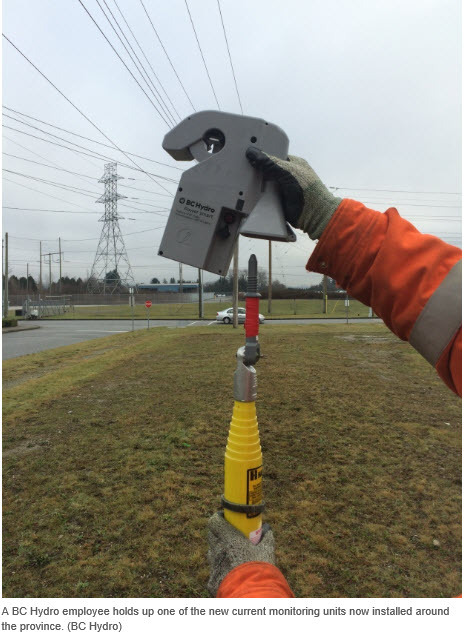 BC Hydro keeps a close eye on usage. Now to the fraud. The Urban Dictionary definition of a grow op is ‘Suburban house that is actually a concealed indoor marijuana plantation’. Growing the plants typically uses hi intensity lights that are energy intensive and the growers often bypass electrical meters to reduce costs and avoid detection. An average home will use about 30 kWh per day while a grow op can use 300 to 3000 kWh per day! Needless to say, this is a huge cost to a utility company passed on to regular customers. Nick Eagland’s article in the Nov 4th edition of the Vancouver Sun ‘New B.C. Hydro devices save millions of dollars from cannabis-growing power thieves’ talks about how in 2011 62% of grow ops were stealing power costing the utility around $100 million annually. 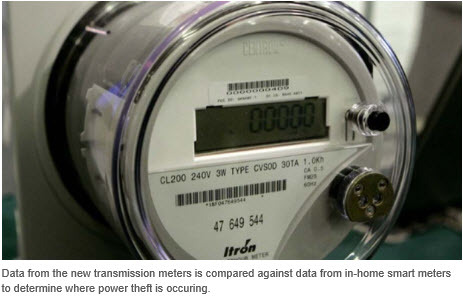 BC Hydro then installed smart-meter systems in all homes in the province and since then has also installed thousands of check meters – TGI Raptor 3 sensors that can wirelessly identify where power is going. This information is analyzed together and then a field investigation team acts on the information. In the 2015-16 fiscal year grow op power theft has dropped to where only 2% were not paying for power. Power theft overall has dropped by 80% saving millions of dollars in lost revenue. Data from IoT devices can be used and analyzed in new ways to improve business results. Industry partners like SAP can provide tools such as advanced analytics with the HANA database and SAP’s HANA based Fraud Management to support IoT strategies in the digital economy.